In light of LeBron James opening his "I Promise" school, we saw the never-ending debate of Michael Jordan vs LBJ pop up again—yet this had to do with what they did off the court. And all I have been seeing is fake news. For the past few years, I've seen tweets pop up from time to time about people saying that MJ has invested in and funded for private prisons. 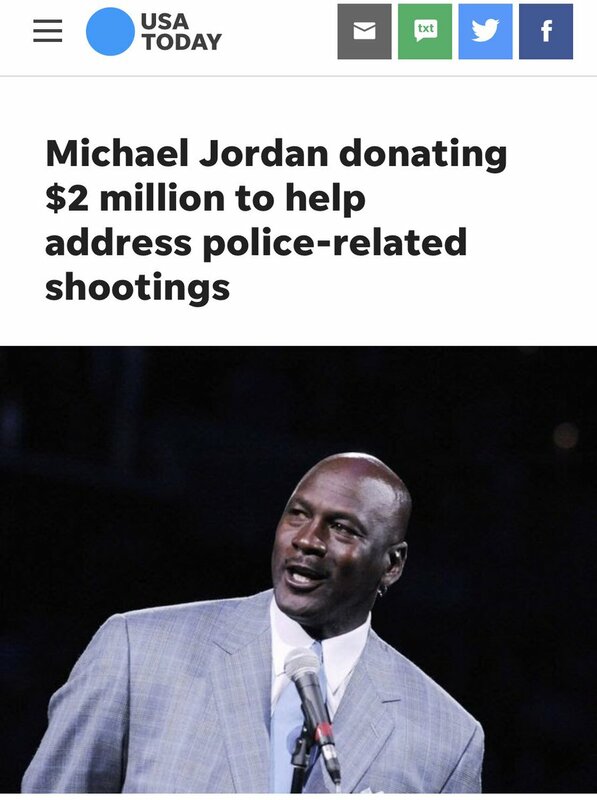 So when news came of LeBron's amazing gesture, all I saw on social media was "LeBron opens up schools, meanwhile MJ opens up prisons." Sadly, these people didn't take to time to just Google search for a few seconds and see that their statement is easily debunked. Yep, a white dude from Oregon who just so happens to be named Michael Jordan is the one investing in prisons—NOT the legendary basketball player for the Chicago Bulls. 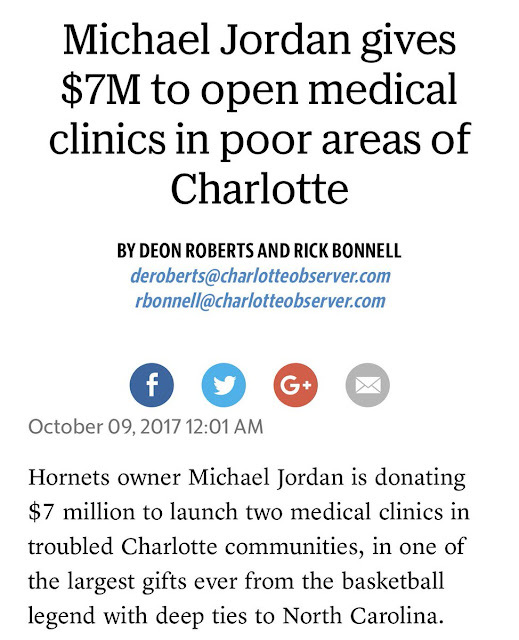 As a disclaimer, this is not to diminish all that LeBron has done with his philanthropy. I am a huge fan of both players, but it's sad to see people try to tear down another person by making up and spreading all these lies. Comparing both of their good deeds to society isn't really something people should do, honestly. 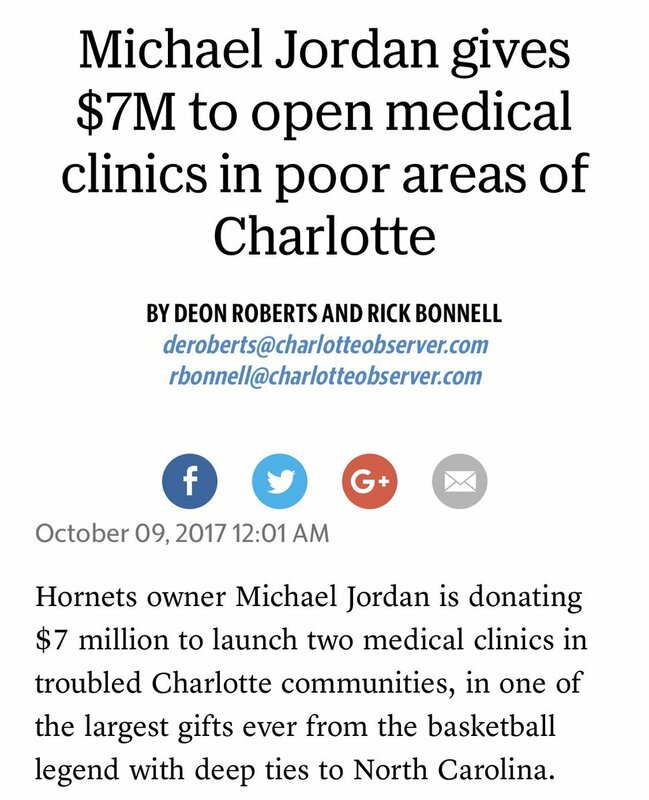 People act like Jordan doesn't care, but above I just showed you he's done more than what most people do. But hey, I guess it goes against your agenda. 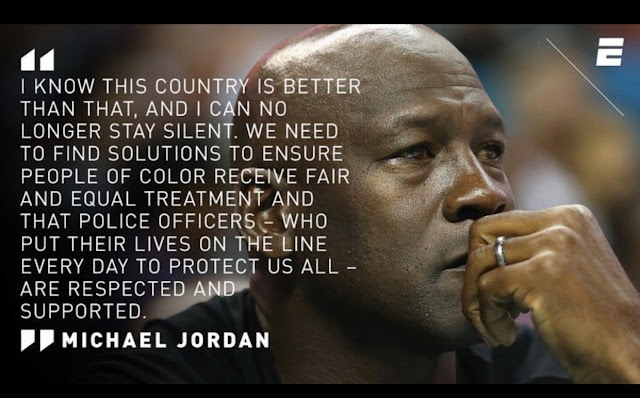 This ESPN article sheds a lot of light on how much Jordan has done for the black community and black issues. I suggest you read it the next time you are about tweet about Jordan investing in prisons and not caring about his own people. The fact that so many people still fall for MJ being someone who funds for prisons is pretty sad. It's no wonder the term "fake news" exists, and how it easily swayed people to vote for a certain someone in politics two years ago (cough cough). Of course, people will still bring up things to say about MJ, such as his Air Jordan sneakers. 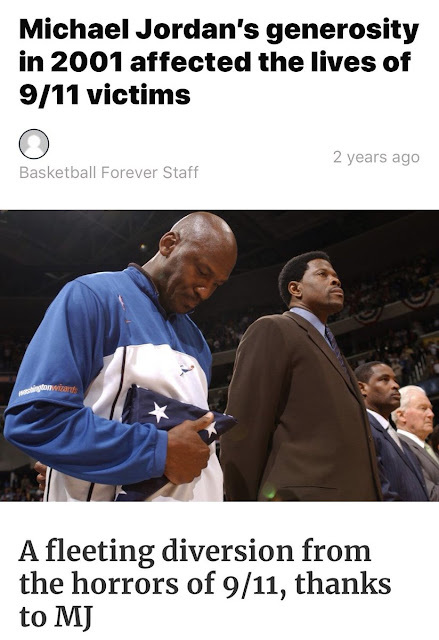 There have been deaths before over his sneakers, but that's like blaming LeBron for this. 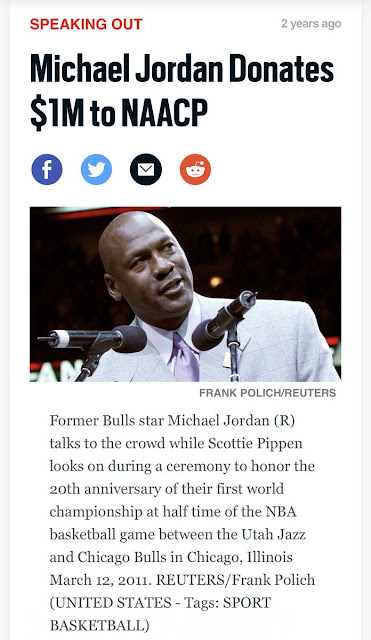 Then there is the story about Jordan once saying "Republicans buy sneakers too," but even the accuracy of that has been called into question, per this story from Slate. Before you bring it up, yes I am aware of the Chamillionaire story, as well as the stories and conspiracy theory over his gambling addiction. All I am saying is that it's sad to see how so many fall for this type of stuff and hate on a man over stories that aren't true. Respect he's at least doing something.